Something amazing happened to me a while back. I stumbled across a method a facial cleansing that I absolutely love! Oil cleansing. No kidding… I’VE BEEN WASHING MY FACE WITH OILS. Yes, this may seem contrary to everything you were ever taught in high school. It may not be popular with advertisers, large corporations, or Dow Chemical. It might seem odd to rub the very dreaded substance on your face that strikes a cold-blooded fear into the heart of a teenage girl, but yes, oil cleansing is in fact a method of facial cleansing, and a fantastic one at that! “How does it work?” You cry! …But first, lets discuss castor oil. I had always thought of castor oil as a one-trick pony that desperate women use to kick-start their labors. Well, if you’re with me on that, we have been sorely mistaken! Castor oil is one of the must-have’s in the oil cleansing arsenal. It is a multipurpose wonder-oil of yesteryear. From a bygone era, it’s praises have been sung worldwide and it’s applications almost too numerous to list. It is commonly used as a laxative, lubricant, (even for mechanical parts), a mold inhibitor,as an ingredient in many food and skin care products, and as a potent home remedy for many healers across the globe. And that’s not all. It boasts many modern medical applications in the the general areas of gastrointestinal, antimicrobial, anti-infammatory/analgesic, immune system and lymphatic stimulant, and as a labor stimulant. The amazing things it does for your skin alone was enough to have me sold on it! A few years ago I went to a Western doctor for a cyst I had discovered on my shoulder. Of course, I thought it was cancer. It thankfully wasn’t, and my doctor informed me it was a sebaceous cyst and that we could remove it then and there in the office, but; it would leave a scar. I didn’t know any better, so I did it, and all was well in cyst world. Scar and all… But, then– it came back. With a vengeance. Pardon me; but, damn! I did a bit of research on my own, (which I should have done in the first place), and learned that sebaceous cysts could be cured by simply rubbing castor oil on them. It worked like a charm! I couldn’t believe it. If I recall correctly I did it every night, or more often, for about 3 weeks to 1 month and the cyst had vanished. My skin was beautiful. With oil cleansing, I recommend using castor oil with a secondary oil. Everything in moderation, and too much castor oil can be drying. There are varying ratios of oil combinations by skin type, and good resources can be found here and here. I’d say I have pretty normal skin, so I do half castor oil, half olive oil. I’m not exact about my measurements. I just aimed for equal parts of each oil. Saturate a wash cloth with hot water and wring. Drape across your face and relax for a minute to allow the water to steam your face. I use 1 drop of lavender essential oil in my cloth for added aromatherapy benefits. Good choices might also be chamomile, lemon balm, peppermint, rose geranium or rose otto, tea tree, or whatever you have and are comfortable with. Rinse your cloth with hot water and wipe your face clean. This method should be used right on top of makeup, in lieu of a makeup remover. (I hear it works amazing in removing makeup. I quit makeup 8 months ago so I can’t testify). It also does not have to be done every day, but should not be used in conjunction with chemical cleansers in order to not confuse and abuse your skin. Dr. Mercola is always very informative but gives a great background on castor oil. The Oil Cleansing Method.com goes way in depth on the method and is really helpful for those wanting more info. Crunchy Betty is one of my favorite resources for natural body care. Previous Article← 10 (EASY) Things You Can Do with Essential Oils Right Now! I am also an oil cleansing convert! It makes my skin so soft and dreamy. I use jojoba oil and castor oil. Jessica, isn’t it amazing! 🙂 My face is so much happier. I’ll have to give the jojoba a try. This is a fascinating concept that I am excited to try! Thanks! Jaimie, you’re going to love it! So great to read about making my own facial oil cleanser instead of buying a ready-made product – found you on Frugal Days Sustainable Ways and am following you now. Now that I’m older I think I can use oil but when I was young, I don’t think so. My acne was too bad. I’m going to make this mixture this week-end. I’ve been moisturizing with coconut oil, but not washing. I use the Kiss My Face olive oil soap for cleansing. But I’m game to try it! Thanks for sharing this on Wildcrafting Wednesday! Thanks for sharing on The Creative HomeAcre Hop! I have been using a home-made oil cleanser for several weeks now. I use Sunflower Oil and Castor Oil. I also put some lavender vanilla essential oil in for fragrance. I LOVE IT! Having more mature skin that tends toward being dry in a low humidity climate, this is perfect for me. It took a week or so for my skin to balance out but I stuck with it and am enjoying soft, non-dry skin. It seems like the tried and true methods of past centuries have been lost in the up-scale attitudes of the 20th and 21st Centuries. I am glad they haven’t been totally lost. What I meant was I am glad the natural ways of taking care of ourselves without chemicals haven’t been totally lost. Oops. Hi Charlene, what is your oil ratio? I have been using coconut oil to remove my makeup and moisurize. Going to switch to a combo of the castor oil and sweet almond mix for cleaning now! Still love my coconut oil though. I just love how it makes my skin feel! I live in Colorado and it is so dry so the oils are great! I haven’t tried the sweet almond oil with castor oil yet, let me know how it goes 🙂 I have been moisturizing though with rosehip seed oil and LOVE it. Check it out. I have been using the oil cleansing method and I love it!! My skin seems to be so much more moist. And it takes every bit of my makeup off with no problem! Even eye makeup!! I’ll never go back to commercial cleansers! ITA! I recently tried coconut oil cleansing and could not believe how good my skin felt afterward–and yes, it removes all make up easily! I add a little Brown sugar for exfoliation. Coconut oil is nice too. I tried the OCM but it didn’t seem to work. In fact my face seemed to react to it and break out more… I was really disappointed when I did it a while back and I just can’t figure out what the problem was? I used Grapeseed and Castor oils and would occasionally use tea tree oil to help with the breakouts but I am just not sure…Thoughts?? How long did you try it for? I think your skin goes through an adjustment period, just like you’re hair does when switching from commercial products. I’d say stick with it for at least a month or two if you can. Also, maybe your skin would respond better to a more nourishing oil like jojoba? 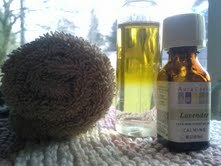 A jojoba and castor blend. I tried it out for a month but no dice. I think, though, that I had a lot of different factors coming into play. I definitely want to try it out again when things normalize for me so stress isn’t a huge problem and things stabilize. Okay, I’ve been reading about the OCM online and decided to try it. Since nothing else I use seemed to moisturize my face and even my skin tone, I thought, what the heck. Well, I tried it using castor oil and apricot kernel. It was what I had on hand. I used less castor and more apricot. Even though many websites recommended doing this at nite, I did mine during the day. At first my skin looked kinda funky but later on that evening, my face looked smooth and clear. And it felt clean. This morning when I washed my face with only a wet washcloth, my face still looked okay. So I’ll be doing this before bedtime tonite. But I’m a bit confused. Some instructions say to rince your face with warm water then apply/massage in your oil mixture. Others websites say to apply oil mixture to a dry face. Which is the correct way? 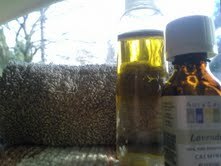 And, is there any other oil that I can use to replace the castor oil? Thanx for posting this info and thanx in advance for your response. I think either method is fine, Ginny. Whatever works for you 🙂 I always do it in the shower so my face is already wet. I don’t have to cleanse every day now that I have been doing it so long. It’s truly amazing. (I do not wear make-up though). Anyway, I recently ran out of castor oil, and had on hand rosehip seed and olive oil, I think about half and half, and have been cleansing with that. It’s working out great! Giving a little bit of extra moisture that I need in winter. Rosehip seed oil is a “dry” oil that soaks in super fast. Otherwise, I think the castor oil is pretty important. Most every recipe I have seen has it, and the benefits of castor oil are hard to beat!